"Words and Sounds" - Available NOW!! 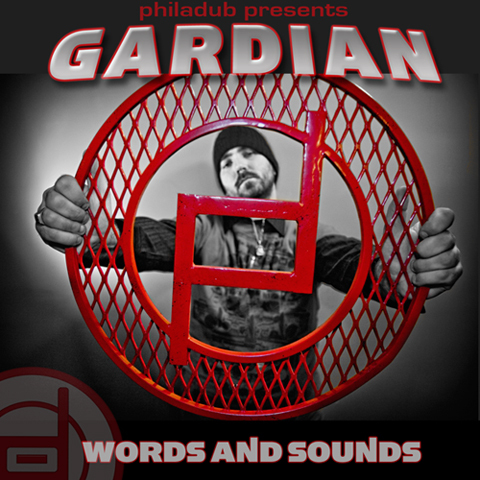 Listen to Gardian's "Words and Sounds" Preview above! From the vocal booth in Philadub’s Sevenwest studio, Gardian shares his reasonings with the people through his energetic meditation on life. his studio talent and conscious message carries over to the stage, where he delivers a high-impact performance. Gardian has performed in the dance, sharing the stage with artists including Sizzla, Capleton, Elephant Man, Collie Buddz, Anthony B, Lutan Fyah, Gyptian, Richie Spice, Wayne Wonder, Tarrus Riley, Mr. Vegas, Pressure, Kiprich, Ky-enie, and Flippa Mafia --from Los angeles to Philly. Well-received in both the garrison dance and the large venue, gardian's style burns the stage every time he takes the microphone, igniting the crowd with positive energy. over the past 5 years, Gardian has been the backbone of Philadub productions--producing, engineering, and mixing tunes for jamaica’s top artists-—all the while watching and learning from the greats in the studios of Kingston. Gardian has shown that he has the talent, the voice, and the drive to join the ranks of reggae’s top artists.